I spent the first 35 years of my life trying to live up to the expectations of others, trying to be what I thought others wanted me to be. I struggled and pushed myself relentlessly through studies and a career that wasn’t aligned with my natural strengths, but rather what I thought would win me the validation and approval I desperately craved. I became a master of shape-shifting, able to adapt myself to the perceived expectations of those around me. Up until my mid-thirties, I played small and dimmed my light, trying to fit into groups who couldn’t see or appreciate the real me. I didn’t feel as though the world could or would accept the real me. It didn’t feel ‘safe’ to be me, and if the truth be told, I didn’t know how to be me. And while I’ve come a long way since those days, I still need to very consciously choose to be real. I often catch myself not saying or doing something because I’m worried about how it could be perceived. And while I want more than anything to be true to myself and my values, in reality, it’s not always that easy. We’ve been conditioned by our culture and society to believe that it’s more important to be liked and to fit in than it is to be who we truly are. Why do we find it so hard to be incredibly proud of our unique personality, warts and all? Why is it so difficult to shine our light brightly and show everyone the perfectly imperfect person that we are? How do we courageously and unapologetically be ourselves? These are questions I’ve pondered over the past several years on my journey to living more closely in alignment with my personal truth. 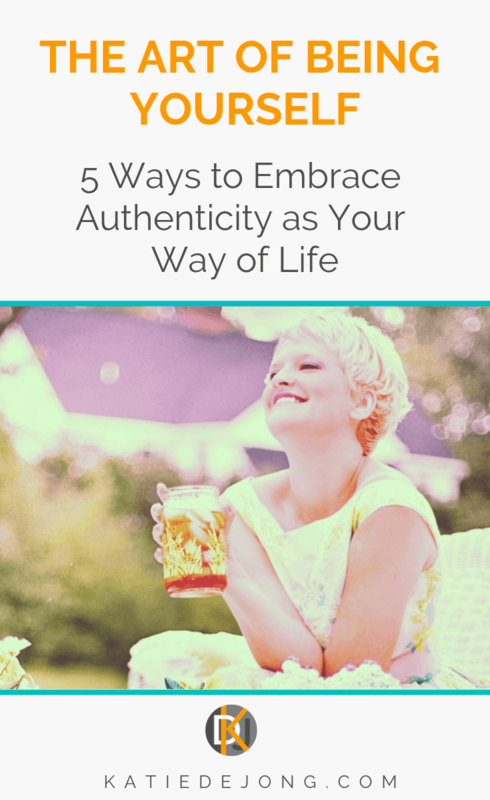 Below are five guiding principles that I know will help you if you’re serious about walking the path of genuine authenticity. ‘Self-awareness’ is the ability to see yourself clearly, to understand who you are, how others see you, and how you fit into the world. It’s the conscious knowledge of your own personality, character, feelings, and individuality. 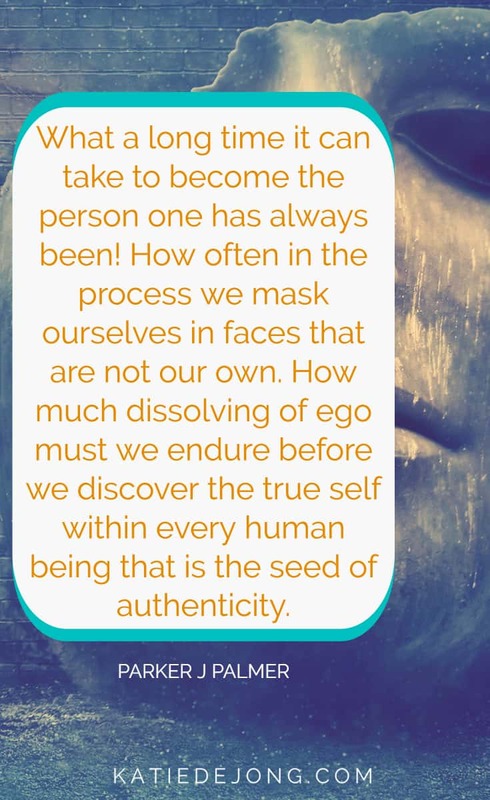 Self-awareness is the first and most critical step for embracing authenticity as your way of life. That’s a staggering statistic! Because it means that around 85-90% of us are either lying to ourselves, in denial or just not seeing ourselves clearly. There’s a reason for this: Genuine self-awareness is not easy to develop. It requires a willingness to be brutally honest with yourself, to acknowledge and observe everything about yourself, including your blind spots; confronting the parts of yourself that you don’t particularly like or would rather avoid – you know, those bits that we might be a bit ashamed of, but nonetheless form a part of who we are and how we think and behave. Being aware of your blind spots and understanding them is the first step in being able to transform them. And they’re called blind spots for a reason – we can’t see them. So we need others to help bring them into our awareness. That’s why 360-Degree Reviews are so powerful in the workplace, and why we need to request honest feedback from others about ourselves. For tips and strategies on exactly how to cultivate this essential quality of genuine self-awareness, check out my article The Happiness Key: How to Become One of the Rare 15% of People Who Enjoy Genuine and Lasting Happiness. If you’re used to fitting in with the group or you don’t like to ‘rock the boat’, it can feel very uncomfortable expressing your true opinions or taking a stand to live in alignment with what feels true for you. It can be really scary to put your real self out into the world. The first time I wrote a blog post I experienced an enormous level of fear and to be honest, I still do each time I publish something that reveals something personal or vulnerable about myself. There will always be people who love and appreciate what we have to say, and there will always be some who dislike or despise it – and that’s OK. But if you spend your life being fearful of being real, you’ll live in the shadows of your true self and miss out on the joy of true authenticity. 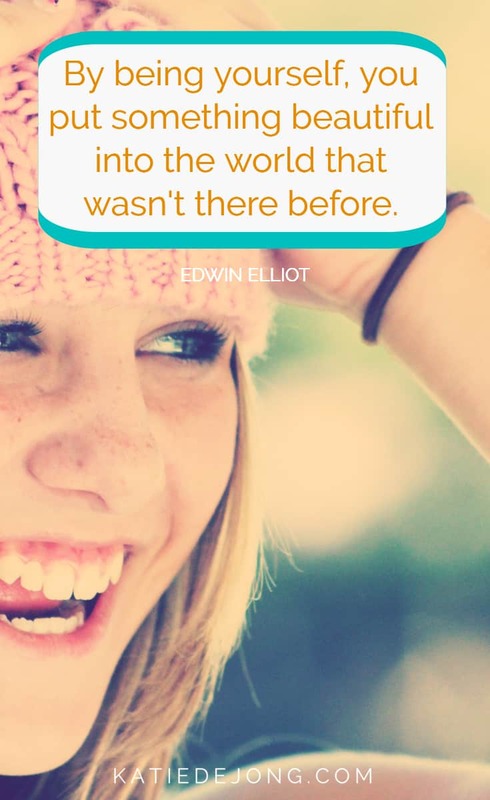 The magic happens outside of your comfort zone. Be prepared to get uncomfortable if you’re serious about being authentic. Authentic self-expression is one of the most fundamental needs and joys of being human. Expressing yourself freely is the cornerstone of authenticity. It means speaking up about your views when appropriate and having the courage to challenge others respectfully when you disagree. It means having the courage to express ‘the real you’ through your work, appearance, activities, home design and any other aspect of life that is an expression of you. When you’re willing to passionately and boldly show up and express your true self and your true ideas and beliefs, you tap into your authentic power. And you become an inspiration and a positive role model to those around you who may also be longing to express themselves more freely. Look to role models of authentic self-expression such as Ellen DeGeneres, RuPaul, and Elizabeth Gilbert who went against the ‘norms’ to be unapologetically themselves – and received considerable backlash because of it – but now enjoy the freedom and joy of living their truth. Imagine if you could feel so secure and in love with who you are, that you no longer see other peoples’ opinions or behaviours as a reflection of your own self-worth or value. You’re so wrapped up in your own self-love and aligned with your own truth that you’re completely unaffected by how people respond to you. One of my favourite teachers Panache Desai talks about the way we see someone when we’re head-over-heels in love with them. Remember how delicious it feels when you first fall in love? Or when you meet a new friend who you think is just amazing? Even if friends or family try to warn you about this person, you don’t take any of it on board because you just refuse to see anything bad about them. Imagine if you could feel thay way about yourself? That’s the kind of radical self-love you need to cultivate if you’re going to live your truth freely. Appreciating yourself is a wonderful way to strengthen your ability to express yourself authentically. When you’re no longer motivated by the approval of others, now you are finally free to express yourself freely and unapologetically. For strategies on how to to develop this essential quality of genuine self-love, check out my article Peaceful Heart: 7 Powerful Steps to Cultivate True Inner Peace. When you’re living authentically, you’re not only in love with you who you are and feel at peace with yourself, but you actively celebrate your uniqueness and perfect imperfection. Focus on the beauty and originality that you bring to the world by being yourself. Celebrate the wonderful person you are, and forgive yourself lovingly for the areas where you think you fall short. You’re only human after all. We all are. Embrace your imperfection and celebrate everything about you! Live true to your values, expressing yourself, taking risks, focusing on what matters. When you have a conflict with someone, you talk with him/her about it directly. When you need help or support, you reach out and ask for it. You know what matters most in your life, and you live consistently according to your priorities. When you don’t understand something, you admit it and ask for clarification. When someone challenges or disagrees with you, you don’t back down if you know it’s your own personal truth. You are not strongly influenced by the opinions of those around you – your heart is your most important guiding compass. You usually feel safe speaking up and sharing your true feelings, even if they’re negative. You don’t worry about making mistakes and letting people down – you certainly don’t let that stop you doing anything. You are aware of your strengths and feel grateful for them. When you make a mistake, you have compassion for yourself. When you don’t want to do something, you say no. You go after what you want and you’re willing to take risks to get it. You’re willing to admit when you’re wrong and apologise accordingly. You embrace all your feelings, even the ones you don’t like. And here’s something that feels really liberating to do! Robbins suggests that if you’re serious about stepping up and being authentic, why not write a letter to the old you and tell them you’re moving on – a sort of break up letter to your old, less-than-real self. It can go something like this. Plus, there were all those times we spent running around after other people, doing things we didn’t really want to be doing, to please others. And you stopped me from following my heart, by making sure I was too afraid. That’s what’s really held us together all this time, you know? Fear. Of being seen. Of being disliked. Of not being loved for who I am. Of not making my parents proud. Of not being seen as ‘successful’. But now – and I hope you won’t take this personally – we’ve grown apart. Remember that time you said I couldn’t show my real self to the world? That’s it’s not safe to be me, fully, that’s it’s not safe to shine my light … even though I wanted to so much? I always thought you were looking out for me. But really, you were controlling me. I was too scared to tell the difference. We’re through. I’m ready to start speaking up. I’m ready to be the version of me that shares and shows what’s REALLY going on inside of me, that never says or does anything to try to appease others. I’m ready to stop being inauthentic and start being myself fully, brilliantly, as flawed as I am, in all my imperfect glory. I don’t want to keep my feelings bottled up when I’m with my family and friends, and when I feel as though someone will be uncomfortable with what I have to say, and every time someone tries to shame me. But most of all, I plan never again to fake it – to pretend I’m somebody I am not, or to pretend I’m OK with superficial, inauthentic conversations when really I just want to be real, and for everybody else to be real. You served a purpose in my life, but we want different things. It’s not you, it’s that you’re not me. So take care of yourself, you won’t hear from me again. Wow – it feels so good to write that! I feel the power surging within me already. 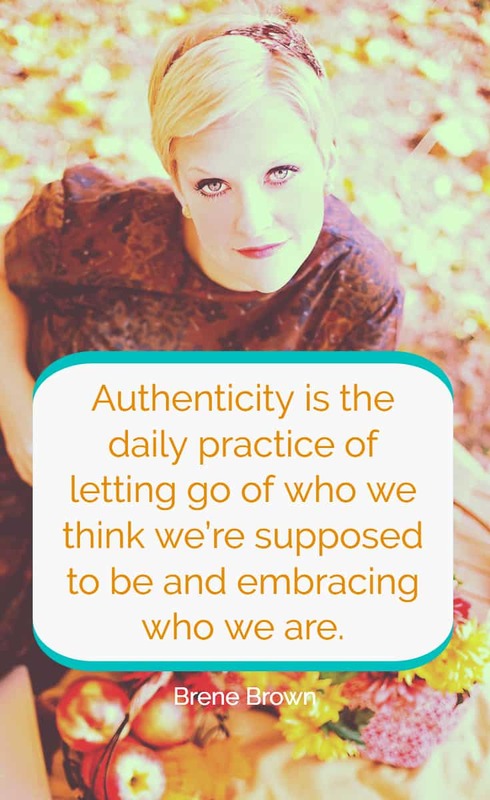 It feels amazing to take a stand for nothing less than becoming your true, authentic self. 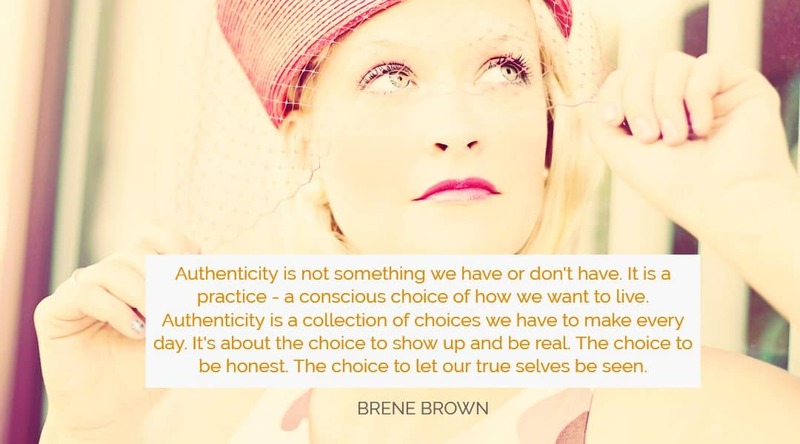 So come on, let’s start with an intention to be real, genuine and unapologetically authentic. Are you in? 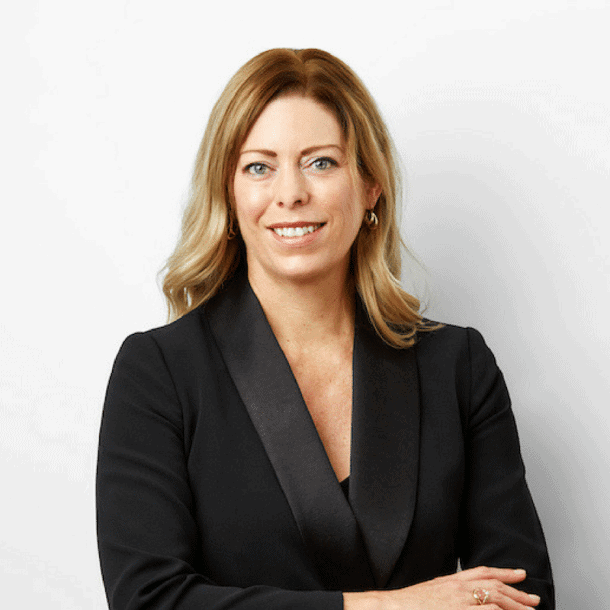 To read about my own personal journey of finding my own truth and authentic life path, check out my article What Does it Mean to be True to Yourself? My Personal Journey of Finding My True Voice and Path. Do you want to live more in alignment with your personal truth? 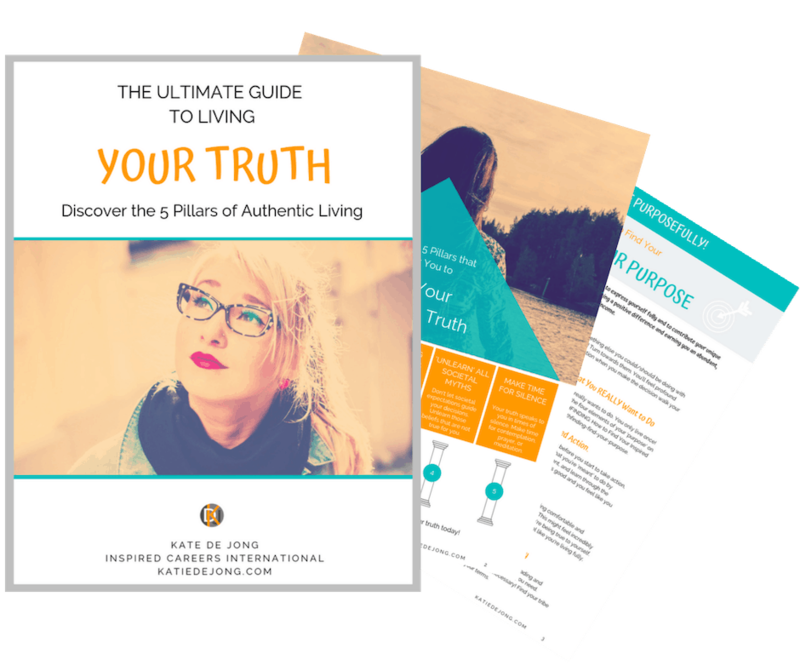 Get your FREE copy of my ULTIMATE GUIDE TO LIVING YOUR TRUTH and discover the 5 Pillars of Authentic Living today!